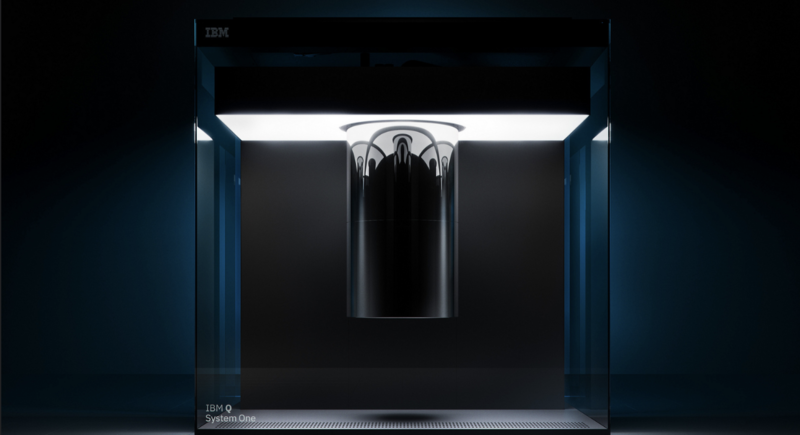 IBM has revealed its first quantum computer, the Q System One, designed for commercial use after five years of development. While classical computers work by using bits to encode information, quantum computers use quantum bits or qubits to encode. While classical bits can take the form of a one or a zero, qubits come in entangled pairs in a state known as ‘quantum superimposition.’ Until the state is measured, the system exists in a state of probabilities of multiple outcomes: 11, 00, 01, or 10. Classical computers solve problems one at a time, hence taking a lot of time. Quantum mechanics involves solving multiple problems at a faster rate. It is fascinating to see a subject that Nobel-Prize winning physicist Richard Feynman once remarked, “I think I can safely say that nobody understands quantum mechanics,” is now being used for computing. IBM’s Dr. Talia Gershon compares quantum computers to the number of guests that can be accommodated on a dinner table, how many possible ways are there to arrange ten people and what is the best possible way to arrange them. A classical computer will model this by looking at each combination at a time. Quantum computers, on the other hand, will look at all 3.6 million combinations simultaneously to decide the best arrangement. The quantum computer physically looks like the first computer built. It requires huge machines to cool electrons to a temperature near absolute zero so that they exhibit quantum effects. Hence, there may be a small chance of shrinking a quantum computer into the size of a smartphone anytime soon. However, there is an ocean of differences in terms of function. A single qubit consists of a two-level quantum mechanical system in which electrons are excited to a higher energy level once energy is applied. Quantum superimposition involves hitting the qubit with short pulses of energy. Now, an electron could be in a higher energy state or a lower energy one, but until we explicitly measure it, its properties are uncertain. IBM allows bored office workers to play around with the quantum computer to increase engagement and to get familiar with the system. Quantum computers can have many applications. The most common of them are optimisation, biomedical simulation machine learning, and financial services. Due to their ability to solve complex mathematical problems easily and quickly, they will be used mostly by STEM researchers for calculating innumerable permutations and combinations that can help in advancing design and analysis. Artificial intelligence involves using a lot of data that goes unused. Quantum computing can help in analysing even this unused data to analyse and extract useful information in a short period of time. Quantum computers have a lot of applications and with further improvements and implementation can be used by the public on a daily basis.